When I do a giveaway, they are usually books. Books I love. Books written by friends, mostly, because I want to support their work. But the reality is that we writers are not only influenced by books, but also by music. Like, I know jónsi is going in my novel acknowledgements. His music has accompanied the majority of my novel writing. He transports me. And helps me connect with myself and words and story. But I am always looking for new music–because there are days I need to unlock another corner of my mind for a scene, a character, setting, or new mood. The music to which I write has to meet the above requirements. Someone special and important in my life released his album last week. 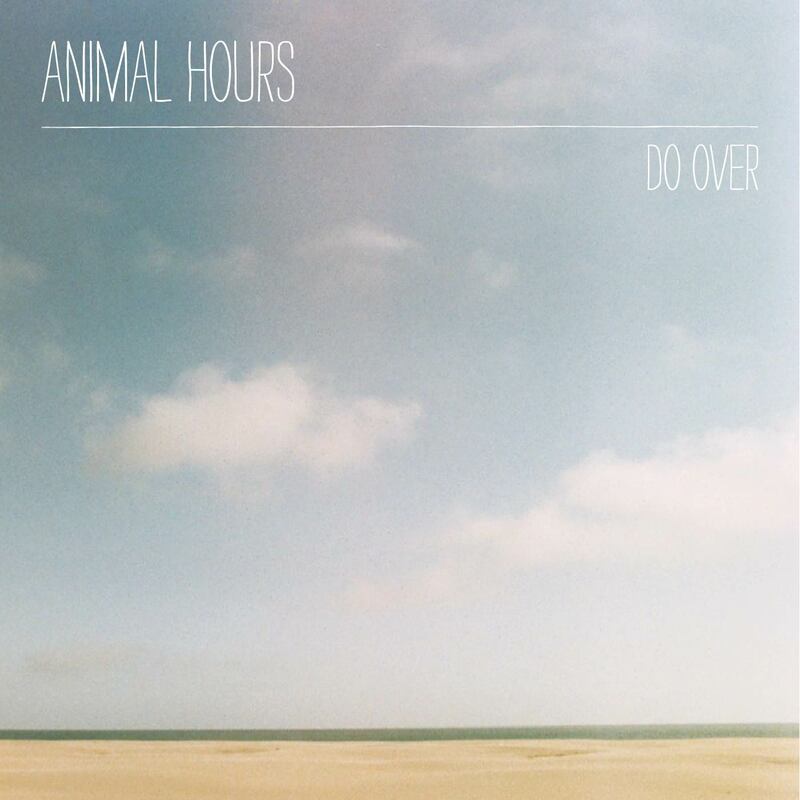 Orion Letizi’s record, DO OVER by ANIMAL HOURS, is a muse. You can download DO OVER on iTunes or cdbaby–but I’ve also decided to do a giveaway of DO OVER here on my blog. Migration during wartime is more push than pull. Nothing pulls you forward, nothing guides you, there is no hand outstretched towards your own. You stumble and fall and pass by orphaned children and mothers whose breasts have gone dry and who hold starving children, who cry without tears, because their bodies have no water to waste on sadness and pain and frustration. These people remind you that you are lucky, despite the blood soaking through your socks and shoes and your own stomach turning on itself in hunger, as your body eats muscle off bone. The above is a rare peek at my novel-in-progress (I don’t usually share my work when it’s in progress) and will likely be revised further. It’s not perfect, but it came out of music. Music is inspiration. There are some early comments on the album here and there on FB and twitter. Buzz will likely grow. And I hope you’re part of that buzz. To that end, I’m doing a giveaway of the CD. I hope you win. If you do not, I hope you still buy and download some tracks or the album in its entirety. It’s about starting your life over. I think we can all relate to some or all of that. 1) Leave a comment below. (I appreciate “likes”–but that doesn’t enter you in the giveaway) You can say anything you want–e.g., you can choose to tell me why you want a copy of the album, or share an anecdote about something you had to do over…or just say you want the album because you want the album. Do fill out your email address when you fill out the fields in the comment box (it won’t be published to the world, but I will need it in order to contact you in case you win)! 2) 1 entry per person. 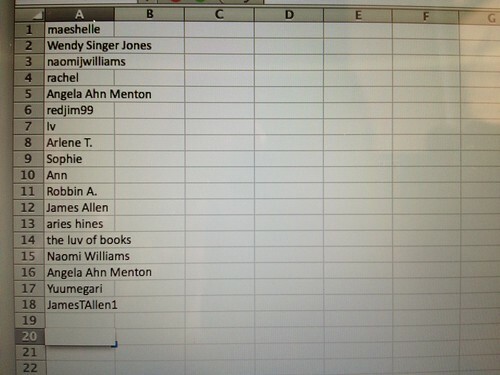 If you tweet about this giveaway (please tag @xtinehlee in your tweet so that I can track it), you get an extra entry. The deadline to enter a comment/tweet is Monday April 21, 2014 12:00pm EST. The winner (picked at random) will be announced Monday April 21, 2014 by 9:00pm EST. Before we begin–just wanted to note that ANIMAL HOURS was blogged on The Bay Bridged with very flattering commentary. RAD. 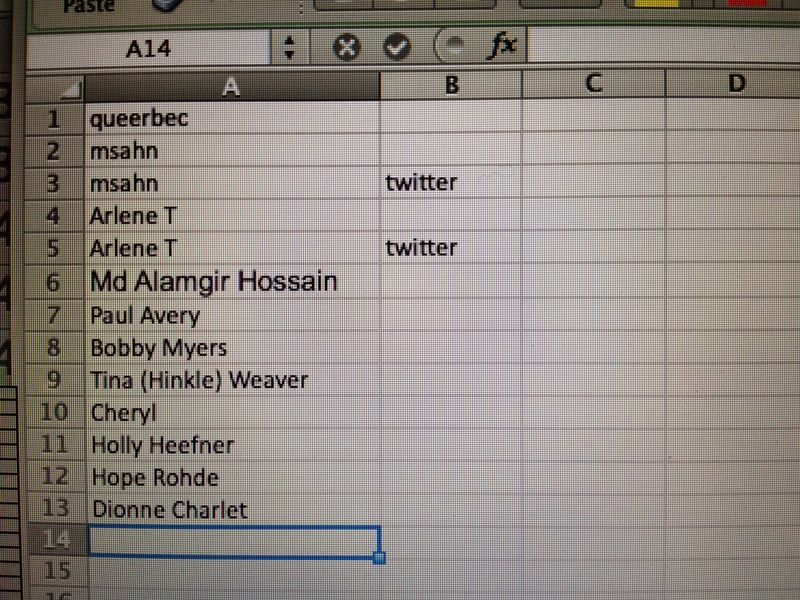 Each entry was assigned a number (in the order comments were subbed or tweets, tweeted). Thanks for all who publicized the giveaway!!! (I hope you find your way to a copy of the album–available on iTunes). And the winner is Patrick! Patrick: I’ll be contacting you for your snail mail address shortly. I hope everyone else finds their way to a copy of ANIMAL HOURS DO OVER, soon! Thank you all for participating. 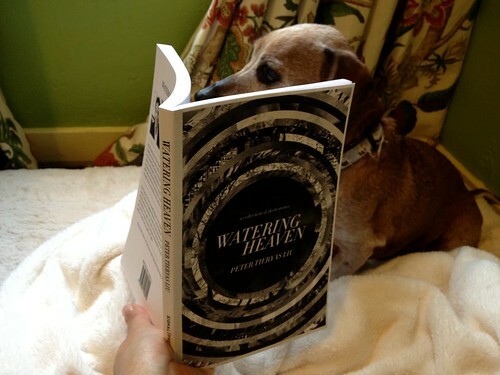 I’m giving away a signed copy of Peter Tieryas Liu’s short story collection WATERING HEAVEN. 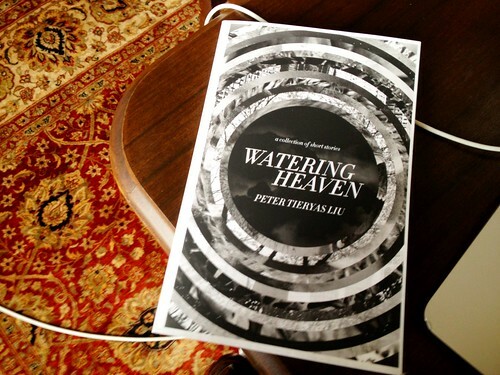 Watering Heaven is available for purchase now–and I’m proud to say one of the selections, “Searching for Normalcy” was one we published at Kartika Review for our Spring 2010 issue. One thing I love about Peter’s writing is that it is quirky without being precious and self-conscious. And thus, so enjoyable. The copy I’m giving away is a brand new softcover book signed by Peter Tieryas Liu. As always, I will sweeten your intrigue with the opening lines of the giveaway book’s first story “Chronology of an Egg,” because for me one of the biggest deciding factors in choosing to read a book are the opening lines. In the end, no one can tell you which book to like–that’s between you and the book. “March 6: I first met Sarah Chao in Beijing over tequila shots after a game conference. I tell her I think she’s beautiful and she tells me she has an unusual genetic quirk that scares off most men. 1) Leave a comment below. You can say anything you want–e.g., you can choose to tell me why you want a copy of the book, or share a little anecdote from your travels in the world (there is a lot of traveling in this book). Do fill out your email address when you fill out the fields in the comment box (it won’t be published to the world, but I will need it in order to contact you in case you win)! 2) 1 entry per person. If you tweet about this giveaway (please tag @czilka in your tweet so that I can track it), you get an extra entry. The deadline to enter a comment/tweet is Monday November 26, 2012 12:00pm PST. The winner (picked at random) will be announced here on this blog post on or before Tuesday November 27, 2012 9:00pm PST. GOOD LUCK! And I hope you all find your way to a copy of Watering Heaven soon! Thanks for all of you who RT’d the giveaway! And helped publicize it. And then, I pushed the button. 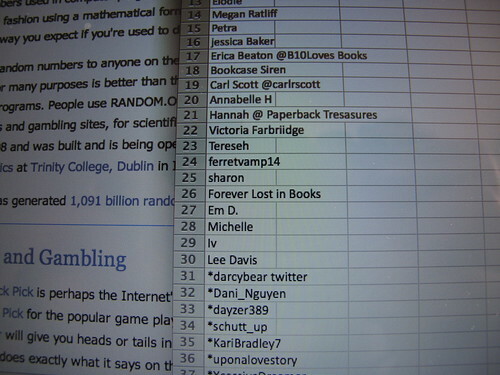 The winner is #7, Jamie Martin, whose extra tweeting entry nabbed her the book! Who says 7 isn’t a lucky number? Jamie: I’ll be contacting you for your snail mail address shortly. 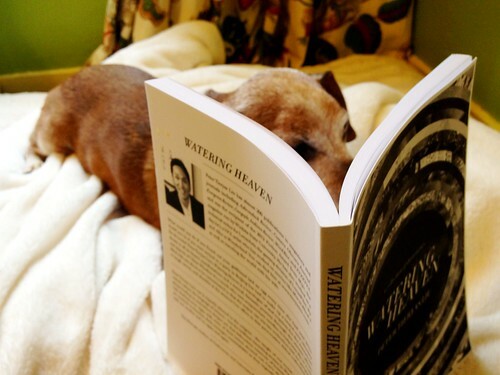 I hope everyone else finds their way to a copy of WATERING HEAVEN soon! Thank you all for participating. 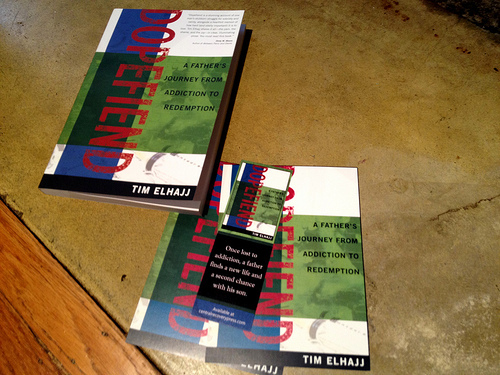 I’m giving away a copy of my friend Tim Elhajj’s debut memoir Dopefiend. It is, as the title suggests, a drug recovery memoir, but with the added theme of of Elhajj’s relationship with his son. (And Scarlet the Wiener Dog as you can see above, is thoroughly engrossed. She just wishes she had opposable thumbs so she could hold the book herself). I first got to know Tim Elhajj after reading his essay in the NYTimes’ Modern Love column. I googled him. Came across his blog…And then of course, we became blog friends. 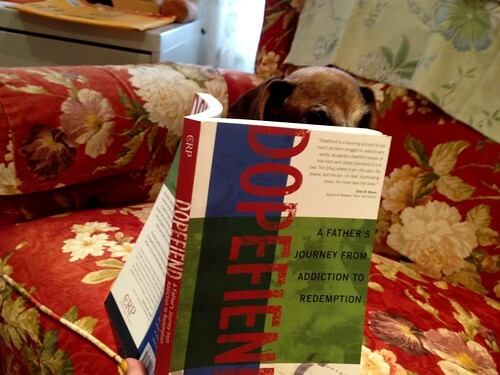 Dopefiend is available now…and I’m giving away a free hard copy of the book, along with a bookmark and postcard inserts, gifted to you personally by Elhajj, whose work has appeared in the New York Times, Guernica, and Brevity. As always, I will sweeten your intrigue with the opening lines of the giveaway book, because I think readers deserve the opening lines. “After getting booted from high school three times, I joined the military. Three years into my enlistment, the Navy cut me loose. I moved back to Pennsylvania and got married, but soon after our first child was born, my wife split, taking our baby boy with her. I was a twenty-four-year-old cyclone of poor decisions. 1) Leave a comment below. You can say anything you want–e.g., you can choose to tell me why you want a copy of the book, or share an anecdote in which you overcame great odds, or a time you signed up for something about which you later changed your mind. Do fill out your email address when you fill out the fields in the comment box (it won’t be published to the world, but I will need it in order to contact you in case you win)! 2) 1 entry per person. If you tweet about this giveaway (please include/tag @czilka in your tweet so that I can track it), you get an extra entry. The deadline to enter a comment/tweet is Monday July 30, 2012 12:00pm PST. The winner (picked at random) will be announced Tuesday July 31, 2012 by 9:00pm PST. GOOD LUCK! And I hope you all find your way to a copy of Dopefiend soon! UPDATE: Winner of the giveaway! If you entered into the drawing, remember your number/s! 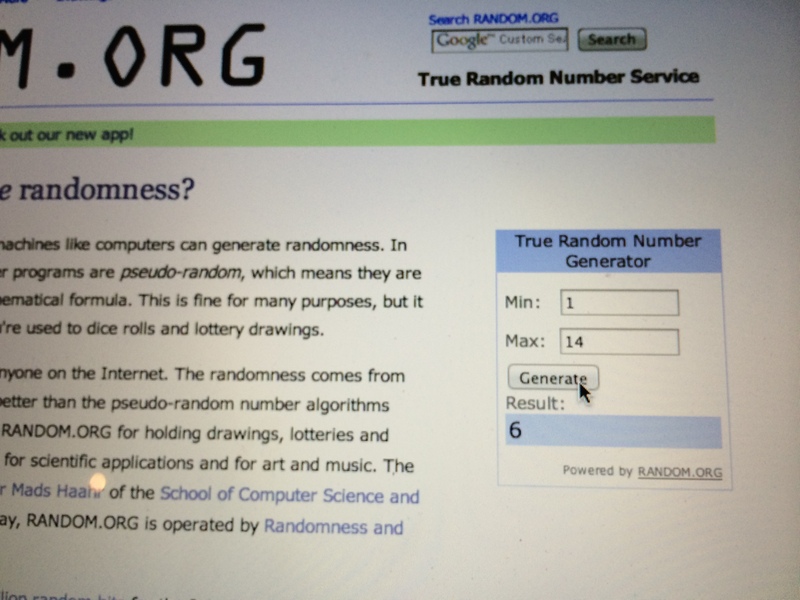 I used a random number generator to determine the winning number. 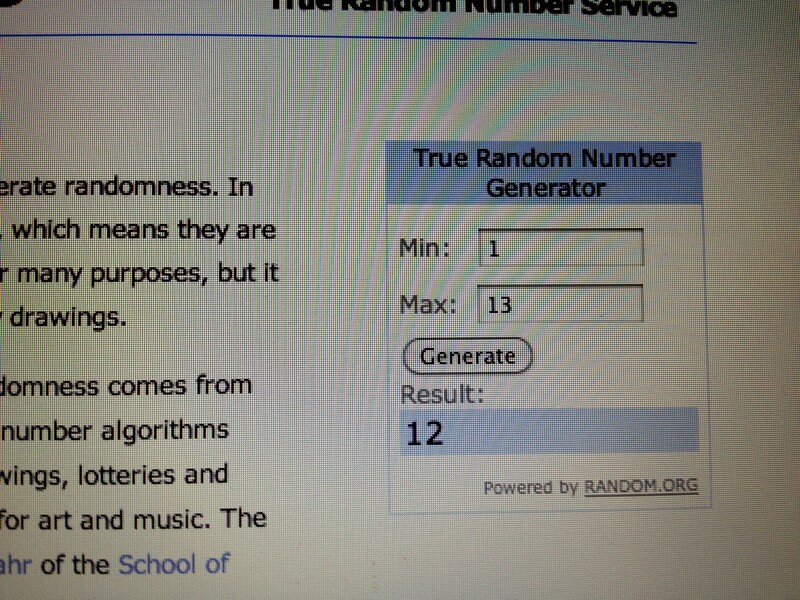 The winner is number 12! Thank you, Hope (if I don’t hear from you, I’ll be emailing you for a way to contact you). Thank you *everyone* for your interest and support. I hope all of you find your way to a copy of Dopefiend soon! The month of book giveaways continues here at 80,000 Words…! 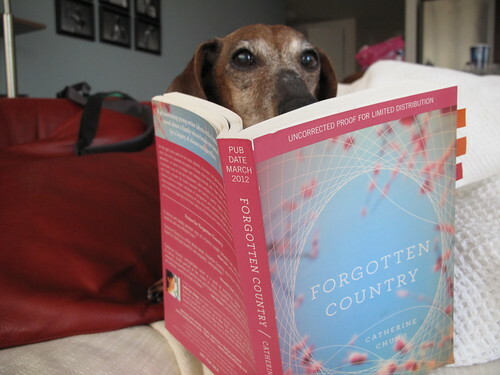 I’m giving away a signed hardcover copy of my friend Catherine Chung’s amazing novel Forgotten Country. Forgotten Country is out in stores now, buoyed by oodles of deserved praise from Publisher’s Weekly, Kirkus Reviews, O Magazine, and some of my favorite writers like Chang-rae Lee, Justin Torres, Cheryl Strayed, and Alexander Chee. Cathy’s debut novel went on sale just a few days ago, and more rave reviews are imminent. (And I’ve also interviewed Catherine Chung for Kartika Review, which will have its Spring 2012 issue out in a couple of weeks). This is the book that I’ve heard called “my favorite novel of 2012” so many times–and even several times during the course of one conversation at AWP in Chicago last week. To which I contributed, “Yes, me too! I loved it that much!” And yes, I am twisted, because I am loving a novel that made me bawl my eyes out at two o’clock in the morning; but why else do we read but to achieve some deep connection with story? This is an author who got it right–Forgotten Country is a novel that gets the technical bits right and yet does not forget heart. The copy I’m giving away is a brand new hardcover signed by Catherine Chung. Dudes, this cover: I love it. Also, it fits right into my rainbow spectrum bookshelf. Yes, I’m one of those assholes who arrange their books by color. (But that’s only because I’ve only got a few books in NYC–my Berkeley bookshelf is a mad chaos of color kowtowing to alphabetical ordered books). 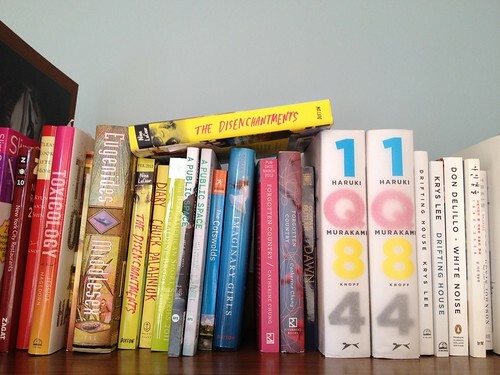 So like, if you need pink/light blue on your bookshelf, this will serve an additional purpose. As always, I will sweeten your intrigue with the opening lines of the giveaway book, because for me one of the biggest deciding factors in choosing to read a book are the opening lines. In the end, no one can tell you which book to like–that’s between you and the book. 1) Leave a comment below. You can say anything you want–e.g., you can choose to tell me why you want a copy of the book, or tell me something wonderful about a sibling, or a trip to the place of your origin. Do fill out your email address when you fill out the fields in the comment box (it won’t be published to the world, but I will need it in order to contact you in case you win)! The deadline to enter a comment/tweet is Wednesday March 14, 2012 12:00pm EST. The winner (picked at random) will be announced Wednesday March 14, 2012 by 9:00pm EST. GOOD LUCK! And I hope you all find your way to a copy of Forgotten Country soon! UPDATE: Time to announce the winner! As always, I assigned each of you a number in the order you commented. 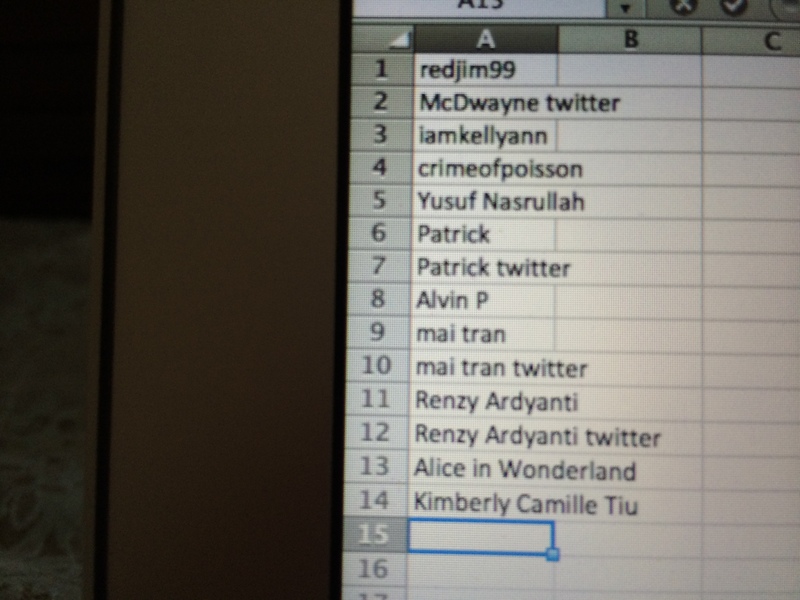 If you RT’d my tweet, or tweeted about the giveaway on twitter, I gave you an additional entry, and I assigned additional numbers in the order you tweeted. Type in each of the entries. Tell random.org to pick a number from 1 to 18. Savor the moment. Ahhh. THE MOMENT. Still savoring. Who will the winner of Forgotten Country be?! I’d love to read this book. But I’m also curious about why you have *two* copies of IQ84, especially as I know you also have an electronic copy of it…? It’s worth a read & all, but takes up an inordinate amount of shelf space! 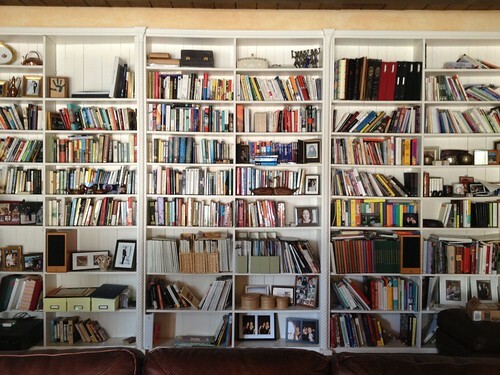 Anyway, enjoyed this post & the opportunity for a free book & your willingness to share photos of your bookshelves! I totes have two copies of 1Q84, because my husband dragged home an extra copy. Long story. I know. And I have it on my e-reader. The extra copy is going to a good friend of mine, soon. Congratulations! And I hope you all find your way to a copy of Forgotten Country soon. 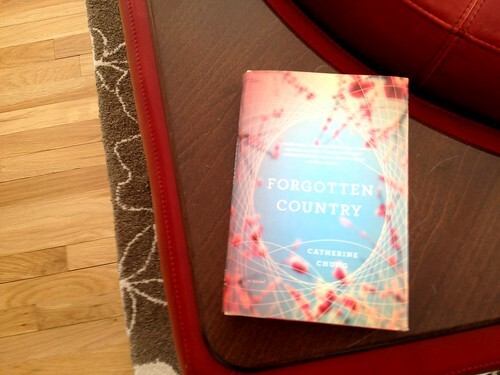 One more Update: Cathy gifted me an extra signed copy of her Forgotten Country! 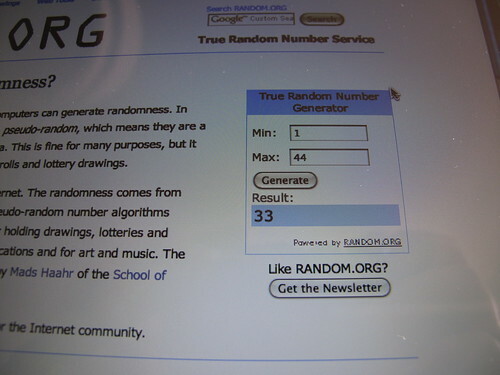 So I did another random.org drawing and the winner was #4…which is rachel! The Edge of Maybe Giveaway: winner! …Someone has won The Edge of Maybe giveaway. Yes. One of you had to win. 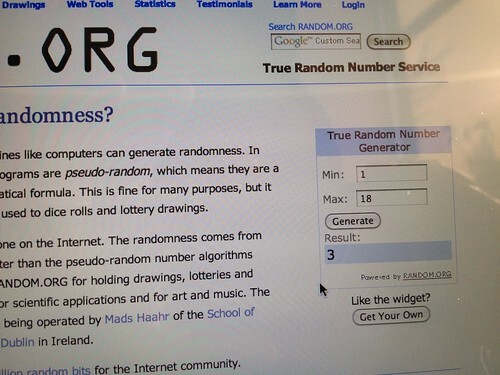 As always, I assigned each of you who entered the giveaway, a number. I gave out numbers in the order of commenting (the first commenter was #1, the 2nd was #2, etc., etc). Then I went on a walk. And had some tea. Sat with my dogs and petted them on the head. You know, things that would drive you nuts if you were waiting for the winner of the giveaway to be announced. I pulled up random.org, my handy dandy online number generator and told it to pick a number between 1 and 15. I went to high school with her, and I’d like to see what’s she writing. Congratulations, Dave! You win a signed copy of Ericka Lutz’s The Edge of Maybe along with The Edge of Maybe postcards and refrigerator (or file cabinet or other metal object) magnet. 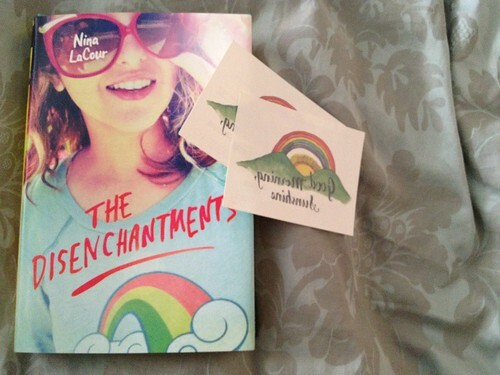 I’m giving away a signed copy of my friend Nina LaCour’s amazing YA novel The Disenchantments! 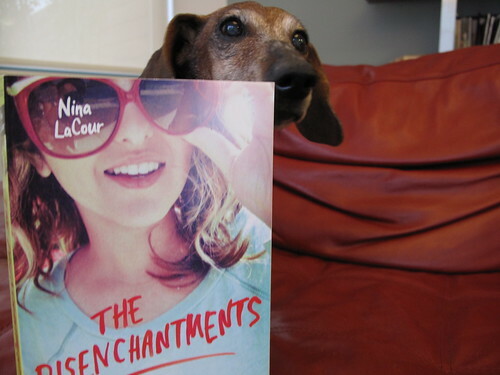 I love this book, and whether you are a young adult or someone who is thirty-eight years old *ahem*, The Disenchantments is pure pleasure to read. Nina writes books that I wish existed when I was younger, and I’m so glad they exist. The Disenchantments is out in stores now, with rave reviews from many venues including The LA Times, which proclaimed it “not just for kids.” I totally agree–! As always, I will sweeten your intrigue with the opening lines of the giveaway book. I don’t know about you, but for me one of the biggest deciding factors in choosing to read a book are the opening lines. Because in the end, no one can tell you which book to like–that’s between you and the book. “Bev says when she’s onstage she feels the world holding its breath for her. She feels electric, louder than a thousand wailing sirens, more powerful than God. ‘I thought you didn’t believe in God,’ I say. 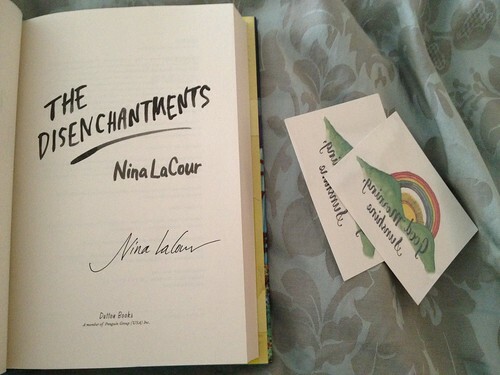 The copy I’m giving away is a brand new hardcover signed by Nina, who has graciously offered up free sticker-tattoos to sweeten the giveaway deal. Isn’t the book beautiful? 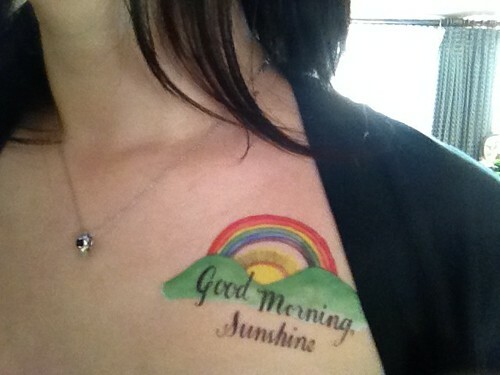 And the sticker tattoos, fabulous? Oh, and have I told you how much I love the sticker tattoos? Here I am, modeling one. 1. What is your favorite occupation? Nina LaCour: I would love to be a haberdasher so that I could say the word a lot. NL: I would like to live exactly where I live: on the border of two beautiful, urban areas of Oakland, but I would turn my apartment into a house with a huge yard and an attic for writing and a front porch where I could sit all day and spy on the neighbors. NL: Cheese. I buy really expensive cheese, and I buy it at a fancy cheese counter in a gourmet shop almost every day. 1) Leave a comment below. You can say anything you want–e.g., you can choose to tell me why you want a copy of the book, or tell me about a roadtrip you’ve taken, or share the name of your favorite music band (and if you’re compelled, why you love them). Do fill out your email address when you fill out the fields in the comment box (it won’t be published to the world, but I will need it in order to contact you in case you win)! 2) 1 entry per person. If you tweet about this giveaway (& tag @czilka in your tweet so that I can track it), you get an extra entry. The deadline to enter a comment/tweet is Monday March 5, 2012 12:00pm EST. The winner (picked at random) will be announced Monday March 5, 2012 by 6:00pm EST. GOOD LUCK! And I hope you all find your way to a copy of The Disenchantments soon! And I hope the rest of you find yourself a copy of The Disenchantments soon! The Edge of Maybe Book Giveaway! 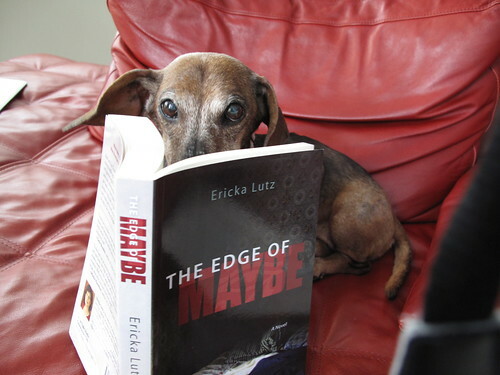 I”m giving away a signed copy of my friend Ericka Lutz’s book The Edge of Maybe! Her book will be released in March, and I’m happy and proud to offer it as a giveaway ahead of its publication date! Along with the book (signed by the author), the winner of the giveaway will receive a refrigerator magnet, and two postcards all featuring The Edge of Maybe cover. 1. What is your favorite journey? Erica Lutz: It’s nature-filled, not too hot or cold, with a friendly and loving companion, in silence, with deep introspection and physical beauty. 2. Which historical figure do you most identify with? EL: I just found out I’m 2.9% Neanderthal, so: a prehistorical woman artist, carving a mammouth (I saw) on a cave wall in the South of France. That sense of carving in the dark, something you love, that someday somebody might enjoy. 3. When and where were you happiest? EL: It’s crazy, but I’m insanely happy right now. My novel is being born, my daughter is thriving, I have health, love, and the cutest dog ever. 1) Leave a comment below. You can say anything you want–e.g., you can choose to tell me why you want a copy of the book, or tell me something about an unexpected gamechanging surprise in your life, or share what you like/dislike most about the SF Bay Area (the book is set in San Francisco/Berkeley/Oakland). 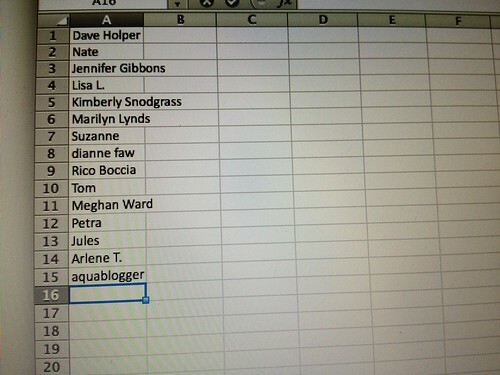 Do fill out your email address when you fill out the fields in the comment box (it won’t be published to the world, but I will need it in order to contact you in case you win)! The deadline to enter a comment is Wednesday Friday February 24, 2012 3:00pm EST. 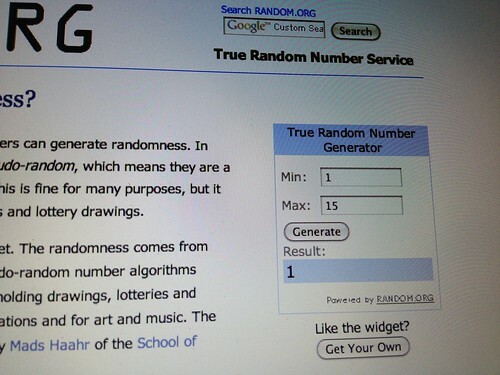 The winner (picked at random) will be announced February 24, 2012 by 11:00pm EST. Note: I realized I’d incorrectly written Wednesday February 24 and corrected it to the more accurate and more generous deadline of Friday February 24.